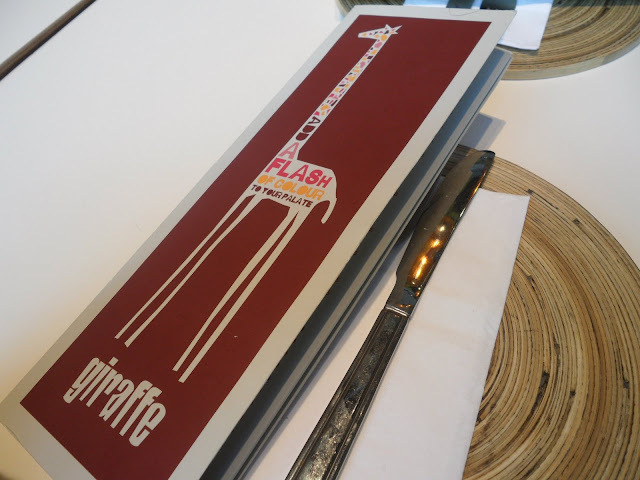 Me and my friend went to Giraffe for lunch, this is a fantastic gem in the Spinningfields where a warm welcome from the waiters and lively world music just sets the scene, I love the design of the restaurant. 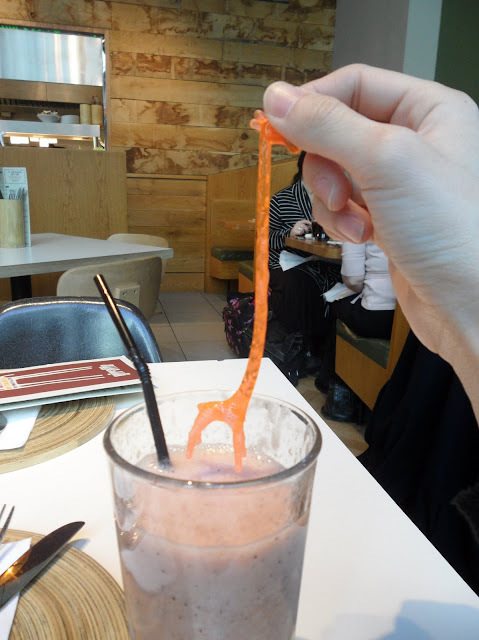 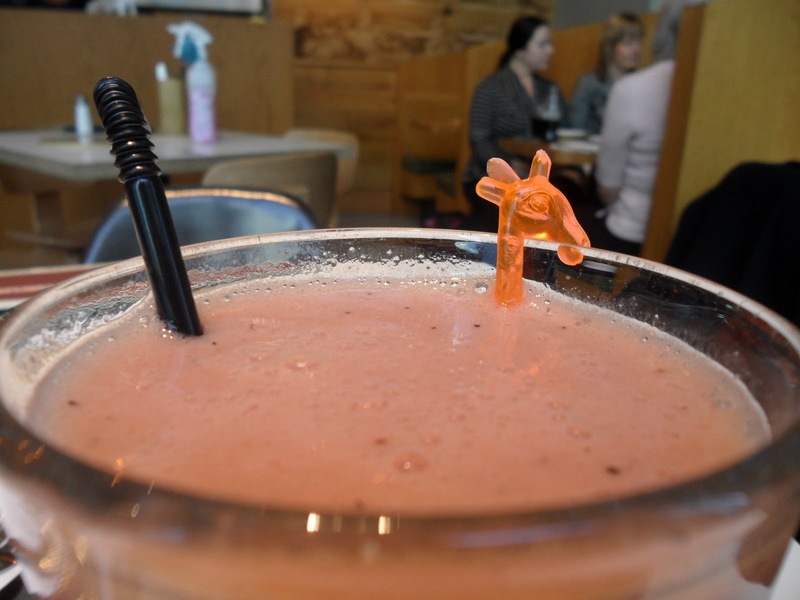 I ordered a glass of smoothie, the stirrer was a giraffe which I found it really cute. 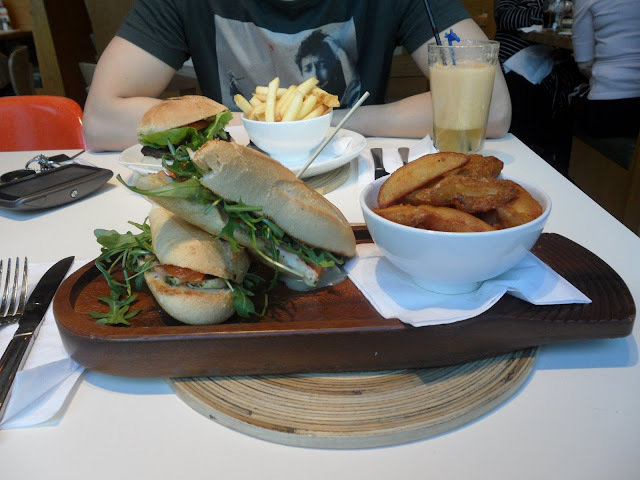 The food is good and fresh The burgers were massive and the way they presented the food was good. 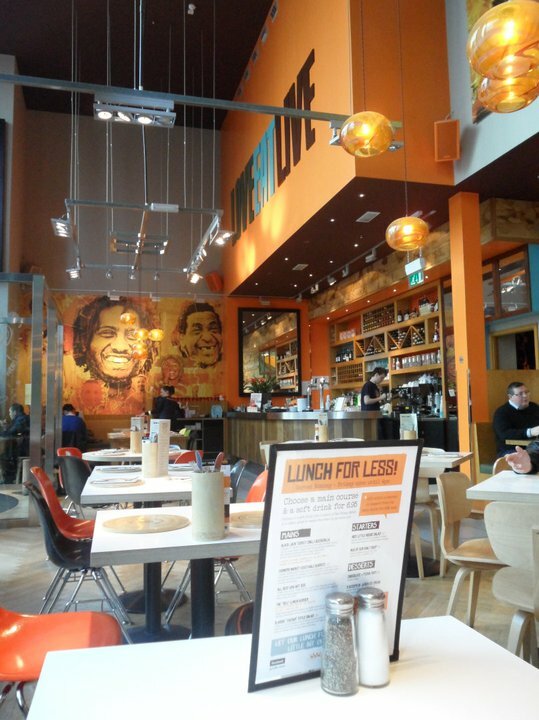 They have a reasonably priced special lunch menu for a meal and drink.